Occoquan Bible Church: Woodbridge, VA > Why take our kids to worship? We invite you to reread Jared's helpful post "Why take our kids to worship?" as we get ready for the upcoming change to our Sunday morning schedule. Taking your child to the Sunday worship service can be jarring. Trust me, I know -- it once gave me a concussion. Years ago, we had recently begun introducing our then 4 year-old to the worship service, with all the potential misbehavior that entails. During corporate prayer, my son decided to lay down on the floor. Like a good father, I knelt over him and told him immediately to get up. Like a good son, he obeyed immediately and enthusiastically – a little too enthusiastically. As he jumped up, the full weight of his 95th percentile head drove directly into my semi-opened jaw. My teeth sank into my tongue before sending the rest of my cranium upward, and for a fleeting moment I saw stars. Somehow I managed to make it through the rest of the service with a growing dull buzz inside my head. The incident gave me a new perspective on impactful worship. Not every instance of bringing our kids to the worship service is like that, of course, but it can be a difficult transition – both for our little ones and for us. To help ease that transition, I’d like to take a look at the topic of children in corporate worship in two parts: first, the “why” of having kids join us there, and then in the next post we’ll look at some practical ways to make that happen. So, why does Occoquan Bible Church encourage kids to sit in worship with their families? I’d like to focus on four areas why I believe this is helpful: discipleship, education, tradition, and opportunity. At the core of Jesus’s Great Commission to his disciples (Matthew 28:19-20) is the call to make disciples of all nations, or people groups. The “all” in “all nations” includes the very people within our own families, and the commission is not restricted to age. The making of disciples is seldom an abbreviated event. It more often than not takes a long time. Discipleship in following Christ certainly takes place after our conversion, but it in many ways takes place before it as well. Hearing the gospel preached, and seeing its affects in the corporate worship of the church family is a powerful way to make disciples. What better way for a child to be introduced to what it means to be a disciple than to experience life with disciples of all ages and levels of maturity? 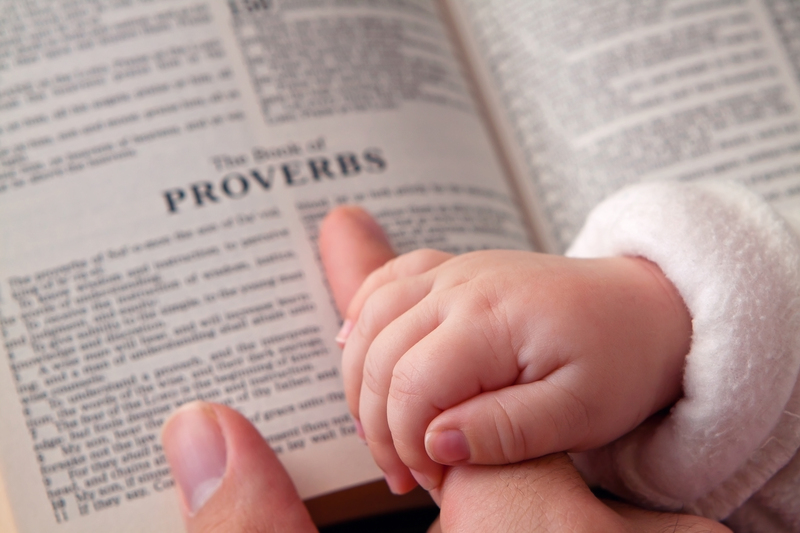 It follows that the words of God should be taught to our own children today. A corporate worship service in which the Scripture is read, biblically-rich songs are sung, and the whole counsel of the word of God is preached only helps us to teach the word to our kids. The art of listening to a sermon is not something easily obtained in the soundbyte social media-driven culture in which we live. There is virtually nowhere else kids will learn this skill, and there’s no other way to learn than to sit in on sermons and listen to them (although there are ways to facilitate this, which we will look at next week). Someone who is suddenly introduced to a worship service as a teenager will have a much more difficult time learning how to listen to a sermon than one who has been raised to slowly appreciate the intricacies of this unique (and biblical) form of communication. Being in the worship service teaches them how to worship. Evangelicalism has a long history of eschewing tradition. You might say it’s our tradition to not think much of tradition. But therein lies the rub. Evangelicals are right to not blindly serve tradition, but there is no biblical prohibition on allowing tradition to serve us and our children. Seeing my grandfather give the offertory prayer as I stood and sang beside my grandmother who had the hymnal memorized was a powerful influence upon me as a kid. Jude urges the audience of his epistle “to contend for the faith that was once for all delivered to the saints” (Jude 1:3b, ESV). The faith that was delivered to those who went before us is the same faith that is now being handed down to us. While it is possible to pick up bad habits from tradition, it’s also possible for tradition to help keep us from falling into error. When novel teachings arise in the church, their very novelty can be a warning to us: if no one has ever done this before, is it wise for us to start now? When children are raised in the “ancient paths” (Jer. 6:16), they have at least a starting point from which to find the good way, and to walk in it. Even if our children don’t at first understand everything that is encompassed in the readings, songs, and preaching – and make no mistake, they won’t understand it all – one thing they will understand are the people who love them and who are standing beside them. They won’t understand it all, but that gives us a great opportunity to explain to them what they don’t understand. Children hear more than you think, and you might be surprised at what your four year-old will ask you about when you think she is completely tuned out. In worship, we have the opportunity to introduce our children to a taste of the eternal – God’s people worshiping together. At its least, worship attendance with your child may cause them to ask you for a reason for the hope that is in you (1 Peter 3:15). As I mentioned before, transitioning kids to the worship service is difficult, but it is a difficulty worth having. You may have a few months (or a few years) of distraction. IF all else fails, we archive the sermons on the website. The distraction won’t last forever, but you might just be building upon something that will. This all sounds good, you say, but how do we put this into practice? Easier said than done, right? In the next post, we’ll look at some practical ways to help your kids make the transition to worship (which may or may not involve duct tape! ).